“To have” is one of the most used verbs in English. 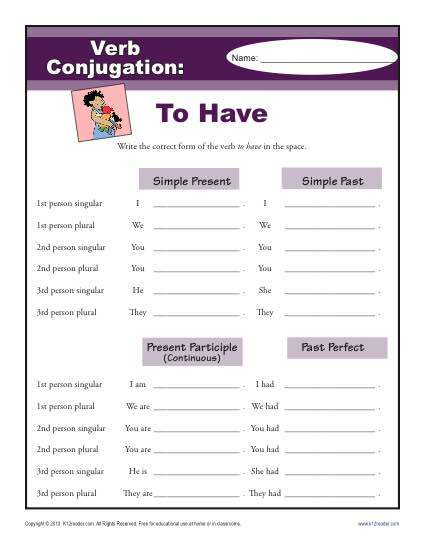 That’s why having this conjugation worksheet is so important. It’s a great drill for Common Core Standards for 2nd through 5th grade Language, although it may be helpful for others as well.